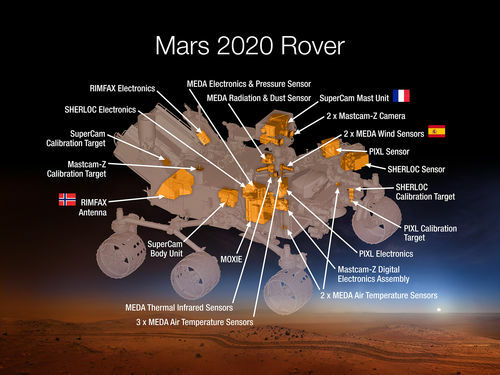 The Mars 2020 rover is based on the Mars Science Laboratory's Curiosity rover configuration. It is car-sized, about 10 feet long (not including the arm), 9 feet wide, and 7 feet tall (about 3 meters long, 2.7 meters wide, and 2.2 meters tall). But at 2,314 pounds (1,050 kilograms), it weighs less than a compact car. 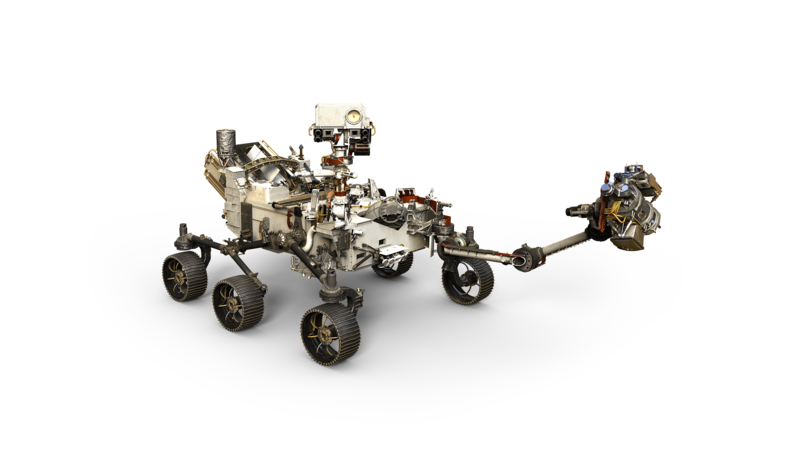 In some sense, the rover parts are similar to what any living creature would need to keep it "alive" and able to explore. This artist's concept video shows NASA's Mars 2020 rover raising its head (its mast) and reaching out its robotic arm. body: a structure that protects the rover's "vital organs"
on NASA's Mars 2020 rover.